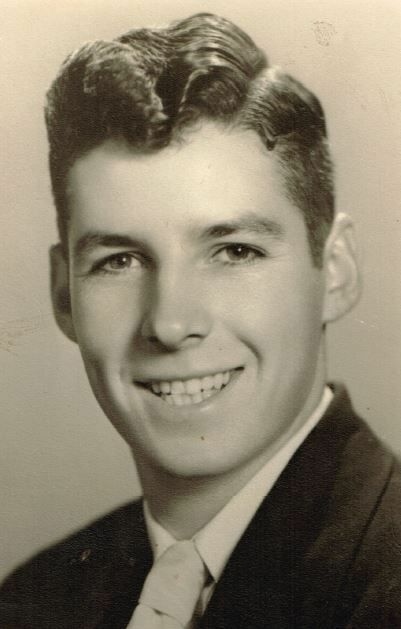 Larry Vernon Bailey, born April 11, 1935 passed January 14, 2019 in Napa. He joins his parents, Vernon Willard and Ruth Ellsworth Bailey whom he adored, his older sister, Joyce and many aunts, uncles, and cousins: Kenneth and Chet Van Gorder with whom he grew up as brothers; Darrell/Beth Bywater, in-laws. Larry is survived by his adoring wife of 49 years, Karla; daughter Lorri/Ed Newman, and his son, Jeff and 6 grandchildren and 10 great-grandchildren of Georgia; sister Janet/Jerry Pritz, Napa; step-sister, Adrienne Klovee, Sonoma; Grandson, Justin Bailey and great-granddaughter, Julieanna Bailey, Napa. He also leaves Karla’s brother’s, Bruce/Tonie Chandler, Montana and Paul Chandler, WA; niece, nephew and grandnephew, Rose, Arron and Karter, Portland; niece Loriuncan Lautze and Hannah of Napa; nephew, David Bywater, Willits; niece/nephews Cathy/David Kemp, Hanford; Matt/Terri Santa Maria, Idaho and Scott Santa Maria, Oakhurst. Larry attended Salvador, Napa High and Napa College, transferring to Sacramento State and received his Bachelor’s Degree from Chico State. He also achieved Master’s and Administrative Degrees from San Francisco State in 1967. He taught Driver Education and Physical Education at Silverado Junior High/Middle School from 1961 to 2003. He worked for Basalt Rock and Slinsen Construction Co. for many years, juggling both jobs working construction summers and even occasionally before and after school, moving heavy equipment. He also worked for Napa Recreation supervising open Gymnasiums in the evenings. He was a gifted athlete which propelled him into Physical Education and Coaching. He played Baseball (the Brandon Crawford at Shortstop! ), Basketball, and Football through Napa College, continuing recreationally playing City League Basketball, Fastpitch Softball, competitive Tennis, and Racquetball and golf well into his 70’s. He coached Football, Basketball, Soccer and Track and Field at Silverado, Freshman Football at Napa High With Clint Smith and Napa College Baseball. He was the incomparable teacher/coach who was well-loved by all his students as he was so very kind and respectful of them. He never raised his voice to them and quietly explained their plays, especially the all-important defense. The only defense he could never surmount was that of Alzheimers. He was the ultimate man and husband who was unbelievably kind, compassionate, generous, helpful, polite and loving. Special thanks to Dr. Sean Kaer, Kaiser and the Kaiser Hospice Team, especially Angela and Robin; the Administration and Staff at The Berkshire and friends who visited him regularly. You are invited to his Memorial Service on Feb. 9, 2019 at 11:00 at the First Presbyterian Church, 1333 Third St., Napa.